Research shows that employees cite their relationship with their leaders – especially their direct manager or supervisor – as one of the most important contributing factors to their own level of effectiveness and engagement at work. At Integris, we believe leadership practices are a prerequisite for establishing healthy organizations. Developing new leadership skills is no different than learning any other skill, in that people must progress along the same basic path, from Awareness of the opportunity and an Understanding of situation to Experimentation with the new behaviors. Only through this Experimentation (which will result in both short-term successes and failures) can people eventually reach the other side: Adoption of new behaviors that will last. Leadership is an observable set of skills and abilities that are accessible to any person, at any level, in any organization. With this in mind, the term “leader” can be used to describe anyone with the ability to influence the work of others, regardless of role or title. As you develop stronger leaders within your organization, you impact results, engagement, and culture. 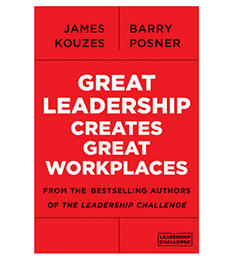 For over 30 years, Kouzes and Posner have collected thousands of leadership stories from people at all levels of an organization's– from CEOs to front line supervisors. Despite differences in title, age, gender, race, and other variables, these stories revealed that the process of leading follows a very consistent set of behaviors. Kouzes and Posner – the world’s most influential leadership experts – categorized these behaviors into five easy-to-grasp practices. The Leadership Challenge Workshop and the LPI 360 assessment has led to renewed focus on my values and my personal mission, and have given me hope again for our organization. The Five Practices of Exemplary Leadership® is a clear, evidence-based path to achieving the extraordinary used by over 5 million people and organizations around the globe. It turns the abstract concept of leadership into understandable practices that can be learned by anyone – from Supervisors to Managers to Directors – willing to step up and accept the challenge to lead. On-going studies consistently confirm that The Five Practices are positively correlated with both the effectiveness of leaders, and the level of commitment, engagement, and satisfaction of those that follow. Leaders establish principles concerning the way people should be treated and the way goals should be pursued. They create standards of excellence and then set an example for others to follow. They unravel bureaucracy when it impedes action; they put up signposts when people are unsure of where to go or how to get there; and they create opportunities for victory. Because The Leadership Challenge is built around observable behaviors, it should be no surprise that TLC includes a highly credible measurement instrument. The Leadership Practices Inventory® (LPI® 360) is one of the most widely used leadership assessment instruments in the world. With the LPI 360, leaders rate themselves on the frequency with which they believe they engage in the behaviors associated with each of The Five Practices of Exemplary Leadership®. A group of “observers” (direct reports, managers, peers, etc.) also complete the survey, indicating the frequency with which they experience the leader engaging in the same behaviors. Combined, these different perspectives provide valuable insight into how the participant views him/herself, how others view him/her, and what actions can be taken to improve the individual’s ability to lead. Research shows that most leaders practice these behaviors at least some of the time. 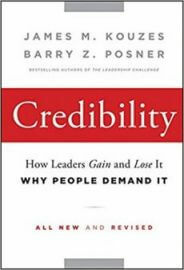 In fact, the findings are very clear that frequency of behavior is what differentiates the most effective leaders from their less effective counterparts. The data undeniably shows that when leaders more frequently exhibit these behaviors, customer-focused results improve, organizational alignment increases, process improvement efforts thrive and employee engagement rises. Do you want to help your leaders – all of your leaders, at every level – perform to their full potential? 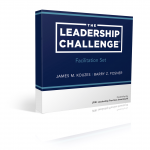 If your organization is ready to take on The Leadership Challenge, Integris is here to help with the following Facilitation and Implementation Support services. Using the results of the LPI 360+ assessment, our certified coaches will work one-on-one with your leaders to help them improve their effectiveness and increase the frequency of their leadership behaviors. Are you looking for a dynamic and impactful speaker for your next retreat or keynote presentation. We’ll work with you to fully understand your goals for the event and craft an agenda that will leave your team wanting more! If you are looking to enhance your organization’s leadership development efforts, we can help. With over 30 years of experience, our team of experts become strategic partners to help you develop lasting leadership development or culture change programs.